Scott is a Lecturer/ Manager of a team that supports and trains staff and students in using digital, creative, innovative approaches to learning. In 2014 he was given a Lifetime Achievement Award for innovative use of Social Media and EdTech after receiving praise and recognition for work developing new approaches to teaching and learning. 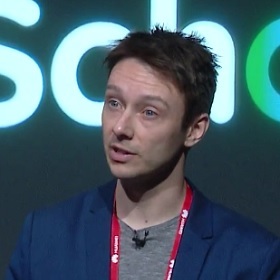 He was shortlisted for the TES FE Awards for ‘Teacher of the Year 2015’ and then created/ led a team to win the ‘Outstanding use of Technology for improving Teaching, Learning and Assessment 2018’ award, being named in the EdTech50, and becoming a Google Certified Innovator.